All of our Stream Breeze Live Video Switching & Streaming systems include a copy of Adobe Premiere Elements for editing video. Some people have asked what is the difference between Elements and the much more expensive Premiere Pro so here is a brief summary courtesy of Scot Sheely from the CreativeCow forums. 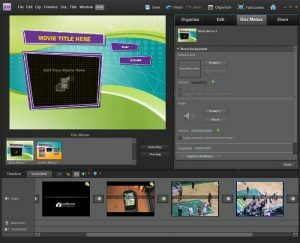 Premiere Elements has “Movie Themes”, which allow you to create projects such as photo montages very quickly, similar to iMovie on the Mac or Windows Movie Maker for Windows users. It is a template-driven interface not found in any version of PPRO at this time. Pan and zoom “Ken Burns” style effects are quick and easy in Premiere Elements. It also features a simplified version of PPRO’s audio mixer, albeit with less flexibility and fewer adjustments available. Elements can also automatically detect the tempo of your musical soundtrack and will sync the beginning and end of each scene directly to the beats of the soundtrack you are using (a very cool feature, IMHO!). Elements uses “Sceneline” instead of PPRO’s “Timeline”, which is a simpler thumbnail tile style timeline that reminds me of (the now-defunct company) MGI’s “Videowave” program from the mid 1990’s. It also includes 10 new effects, including “Old Film”, “Airbrush” and “Earthquake”, as well as over 20 new transitions like 3D Explosions, 3D Transformations, Art Blends, and Motion Blends. P.E. will allow for up to 100 track layers, key framed motion, color correction, chroma key effects and more. One thing missing is the batch capture feature from the full version of PPRO, but the trade-off is that P.E. includes a new feature called “Stop Motion Animation”, which is missing from PPRO. P.E. also has pop-up tips to help assist novice users, and version 4 actually includes reasonably robust DVD and even Blu-ray authoring support, directly from the main Timeline. previous versions lacked this type of support. You can even specify DVD menus from pre-fab templates. Absent is the tight integration between AE, Audition (Sound Booth is the de facto audio editor for elements if you buy that app as well), Encore and Photoshop (Photoshop Elements DOES integrate with Premiere Elements, though, as you would expect). One thing I am unsure of is how P.E. handles plug-ins from third party developers (like Boris FX’s RED, Grafitti and Continuum Complete, Red Giant’s magic Bullet Editors, etc.) if at all. I suspect that may possibly be a limited feature set for that type of additional support, but I am only guessing here on this item. Capturing: The Premiere Elements capture window is much simpler than the Premiere Pro interface. Although it doesn’t support batch capturing, Premiere Elements does split scenes as it captures and places the clips directly on the timeline. Timeline and Editing controls: Premiere Pro has more editing tools in the timeline and more options for working with tracks and keyframes. Titler: The titler in Premiere Pro has more tools and controls. DVD Menus: Premiere Elements features an integrated, easy-to-use interface for adding DVD menus to a project before burning it. Exporting: EDL, AAF, and RealMedia export options are not available in Premiere Elements. Advanced editing features: Premiere Elements does not have many of Premiere Pro’s advanced editing features such as 24P support, surround sound mixing, project management tools, multiple timeline sequences, the audio mixer window, vectorscopes, and the trim window. As you can see, Elements includes a number of very useful tricks that should help make your production workflow faster and more efficient!